Buy and earn 525 points valued at £5.25. 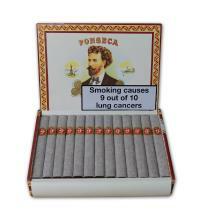 Like all those of this brand, its flavor has that saline aftertaste that we always like to find in good cigars. If a definition was needed of a cigar's flavor, Hoyo de Monterrey is where that rare mixture is most appreciable - sweet and salty at the same time - a rare and exquisite combination. This is a true cuban classic, one of a kind. To put it simply this is a very good cigar. 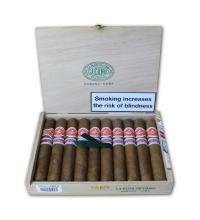 Perfect construction, nice even burn and good complex flavours typical of other Hoyo cigars. It made a perfect companion to a good coffee and Churchill Darkest Hour. Reviewed by Louis Yurcsak (June 2001) After escaping the taskmaster's whip, that is, I took Friday off, not being able to endure yet another day in the salt mines. 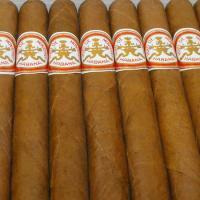 I could think of no better way to celebrate than to try one of the Hoyo de Monterey Churchills I recently received. 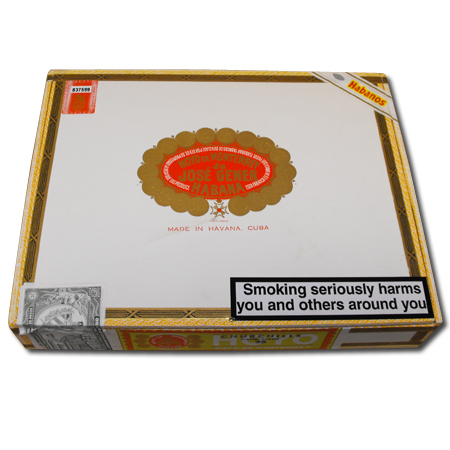 Before even lighting it a cursory inspection show only small veins in a dark wrapper. Once setting torch to it, it burned evenly, never requiring re-lighting, even after sitting in the ash tray. untended, for about five minutes. 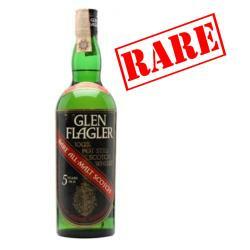 Although generally rated a medium flavored cigar, it tended toward a fuller flavor. 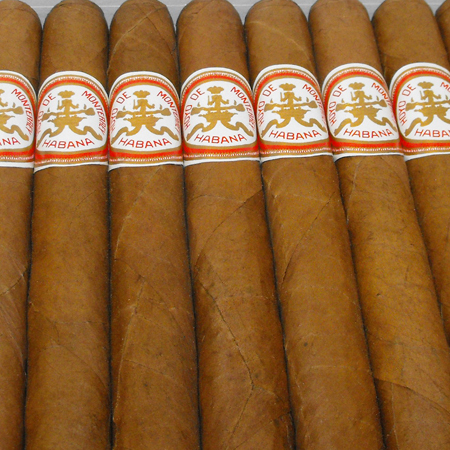 While it did not equal a Bolivar, it did surpassing a Montecristo, which is also considered a medium smoke. Overall it lasted close to an hour, maintaining a constant flavor without any harshness or heat. Even after finishing it there was only a pleasant after taste left in the mouth. Overall a very enjoyable cigar, but one which ought to be reserved for such an opportunity where one may smoke it from beginning to end without any major intrusions. 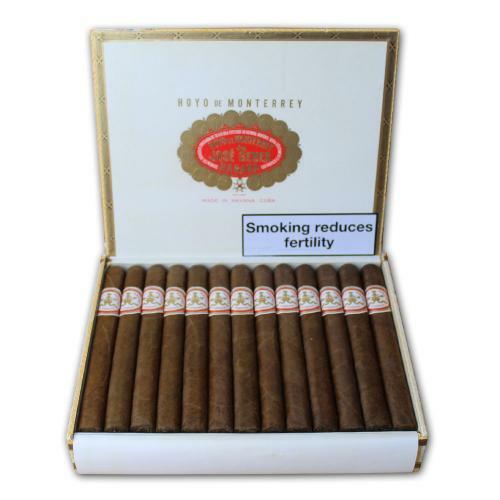 Reviewed by Tim Brown (June 2001) The Hoyo de Monterrey Churchill is a fabulous cigar!. After sampling the Hoyo de Monterrey, I found it to be a very enjoyable cigar the wrapper color was a nice chocolate brown very smooth construction the cigar has a soothing even burn. 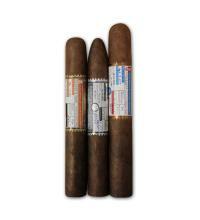 The taste starts out strong and is very consistence throughout the entire cigar. 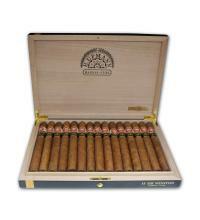 it's a full bodied cigar that is very smooth. 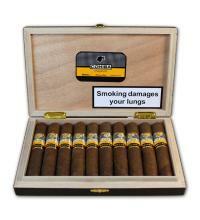 it is a well constructed cigar pleasing to the eye as well as the pallet. The chocolate color and long shaft get the taste buds started at first sight. 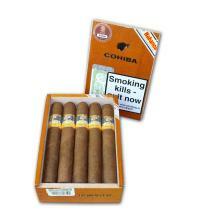 As the cigar burns the aroma draws you in and is very pleasing waking up all of your senses. 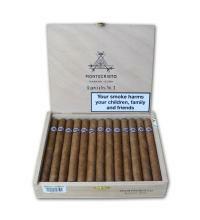 This cigar burns evenly and has a very nice draw, and you can tell by the ash that their was a lot of care taken in the crafting of this awesome looking, tasting and smelling cigar. As I have said before I would recommend this cigar to my closest friends and to anyone who would like a relaxing experience smoking a well crafted cigar.